Flavored with delicious vanilla and decorated with fresh fruits this tempting Vanilla Gateaux Cake is perfect to celebrate any occasion. Whether you are having a birthday party or want to surprise your loved one, this sweet tempt will make the day for sure. The vanilla sponge is topped with the richness of cream in the most exotic way that contributes to making the cake even more delicious. So, whatever the occasion is all that you need is to get Vanilla Gateaux Cake and add some extra sweetness in your day. We at Chefbakers make sure to bake your Vanilla Gateaux Cake with utmost care and love. 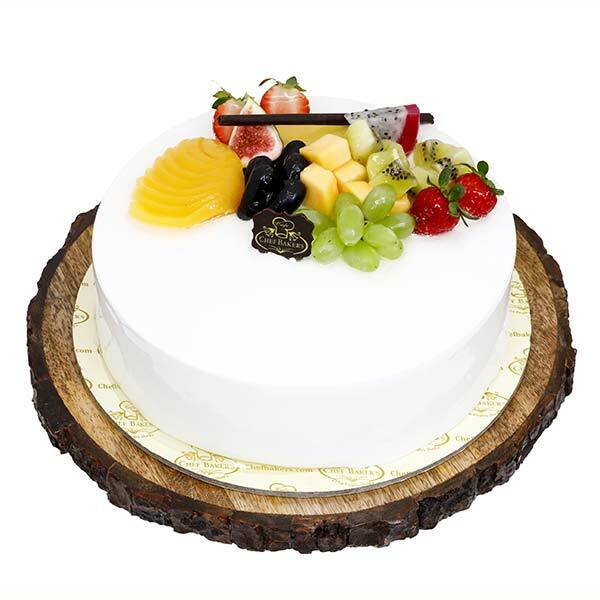 We utilize only the fresh fruits so that the distinctiveness of the cake remains intact. 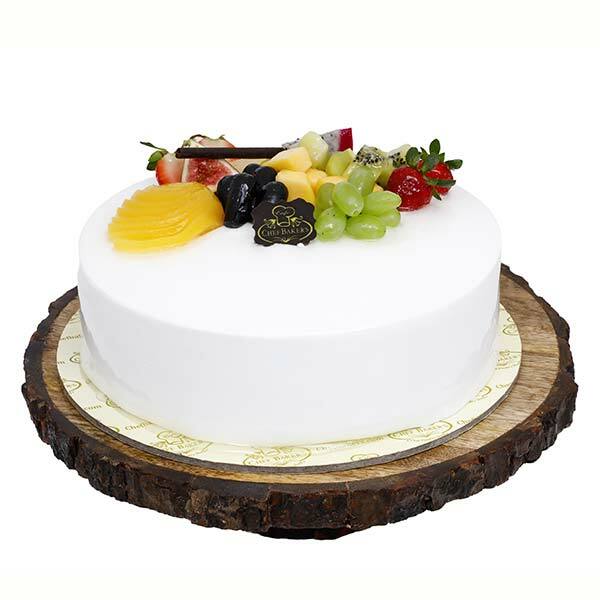 Each ingredient that we use in this cake like vanilla essence, whipped cream and fruits are of high-grade and superior quality that enhance the overall taste and look of the cake.